On 20 April 2010, the offshore drilling rig Deepwater Horizon exploded and caught fire in US waters of the Gulf of Mexico. 11 workers were killed in the explosion and 17 injured. The rig was owned by Transocean on lease to BP, which was the main operator and developer of the site, with Anadarko Petroleum and MOEX Offshore (part of Mitsui Oil Exploration) as minority co-owners. Work on the well had been performed just before the explosion by Halliburton. The 'blowout preventer' was built by Cameron International. On 22 April, the rig sank. Oil leaked from the ruptured well head until 15 July when it was temporarily stopped; approximately 4.9 million barrels of oil had leaked into the Gulf. On 19 September 2010, the US government declared the well 'effectively dead'. 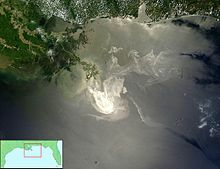 Oil directly affected coastal areas in Louisiana, Mississippi, Alabama, Florida and Texas. People dependent on fishing and tourism have been severely affected, along with those in other industries, including some farther from the Gulf Coast. Often applied in Human Rights cases, Universal Jurisdiction allows a country to prosecute crimes committed by nationals or foreigners anywhere in the world. Diana Murcia, the plaintiff’s lawyer, said the case aimed to bring Nature to the table as a rights-bearing entity. Project Details Oil leaked from the ruptured well head until 15 July when it was temporarily stopped; approximately 4.9 million barrels of oil had leaked into the Gulf. Why? Explain briefly. The explosion and spill have given rise to many lawsuits. By early December 2010, hundreds of lawsuits had been filed against the companies involved. Lawsuits have been brought in both federal and state courts. On 15 December 2010, the US Justice Department filed a civil lawsuit against BP, Transocean, Anadarko, MOEX (part of Mitsui Oil Exploration) and the insurer of the rig QBE Underwriting/Lloyd’s Syndicate 1036 (part of Lloyds of London). The lawsuit will be included in the consolidated proceedings and includes claims under the Clean Water Act and the Oil Pollution Act. On 15 November 2012 BP announced it had reached a $4.5 billion settlement with the US Department of Justice and Securities and Exchange Commission. BP agreed to plead guilty to 14 criminal charges and to pay a $1.26 billion fine to the Department of Justice. The company will also pay $2.4 billion to the National Fish and Wildlife Foundation and $350 million to the National Academy of Sciences. BP will also pay $525 million to the Securities and Exchange Commission.